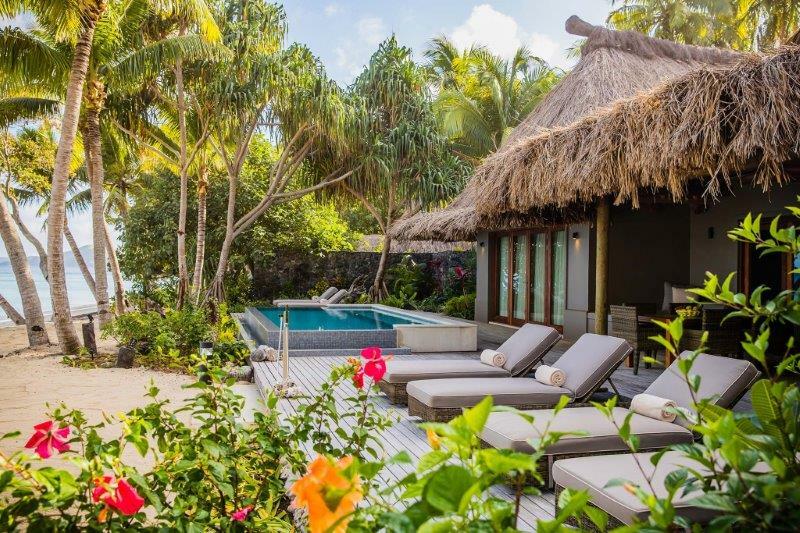 Tadrai Island Resort is the ultimate luxury destination, with only five utlra-deluxe, 100 square metre beachfront villas designed to provide Guests with total privacy and tranquility. The Resort nestles into palm-fringed Selena Cove on picturesque Mana Island – the perfect vantage point from which to take in spectacular sunsets and the ever-changing vistas of the turquoise waters and neighbouring islands of the outer reef. The resort is quite laid back, and we find that most guests prefer the daily ‘beach attire’ of sarongs and swimwear for the women, and ‘t shirt and swimming trunks’ for the men. More often than not, you will find that you forget all together about your shoes, and go barefoot everywhere. The resort has a main swimming pool and a beachside bar located in front of the restaurant. Along with two other swimming pools and a bar in an Adults Only area called “The Cove” . The beautiful white sand beach is all tide swimming. There are also plenty of sun loungers and umbrellas for guest use around the pool, on the beach in front of the restaurant. The Beachfront Villas have their own private sun loungers, and umbrellas located on the beach. There is also our PADI dive shop where you can arrange diving, game fishing, paddle boarding, kayaking, snorkelling equipment, and many of our exciting day trips and adventure activities. With a air conditioned Gym, Kids Club, Teen Tent and a full Day Spa offering fantastic spa treatments 7 days a week, the resort has something for everyone. 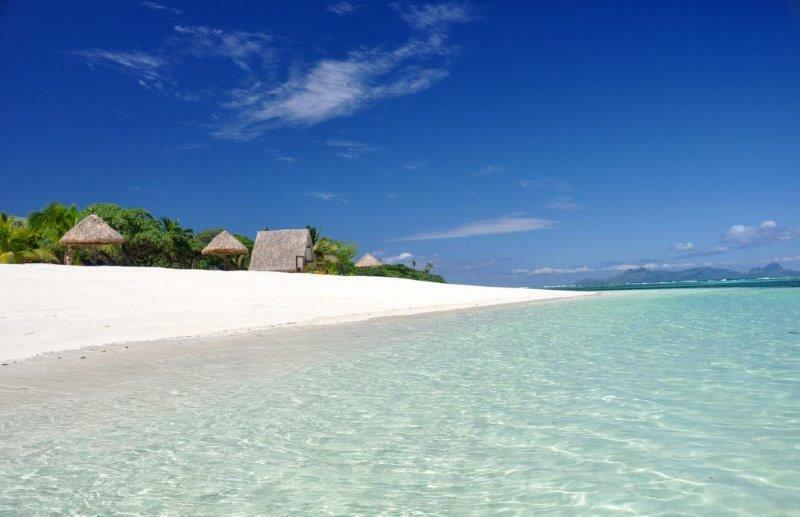 Aroha Taveuni Beachfront Bures is a 20-minute drive from Matei Airport (Taveuni Island Airport). Just metres from the beach, it features a 10 m infinity pool and free Wi-Fi access. Fitted with a private balcony, all rooms enjoy views of the beautiful Somosomo Strait. 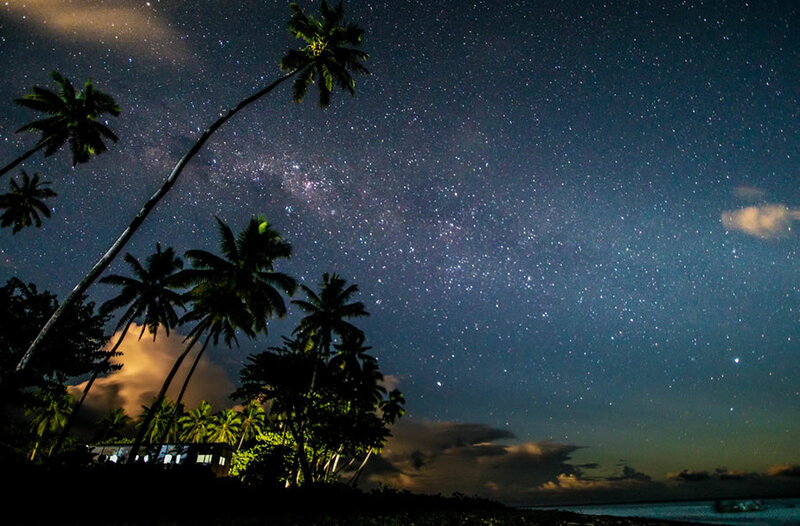 Aroha Taveuni Beachfront Bures is situated in the centre of Taveuni, very close to the Meridian Date Line, shops and markets, great dive sites (Rainbow Reef). We have a great restaurant on site. Tours, sightseeing, village cultural experience,diving, fishing, horse trekking are some of the attractions available. TownHouse, is one of the oldest hotel and apartments in Suva, Fiji Islands, since 1980s till Date. We have recently renovated our hotel and apartments to give our guests that modern layout, to also accomplish this goal we had to re-design our interior with modern furnitures as-well. TownHouse has a newly built Restaurant & Bar with a more modern feel to it. Superior design. Untouched beauty. Pure luxury. 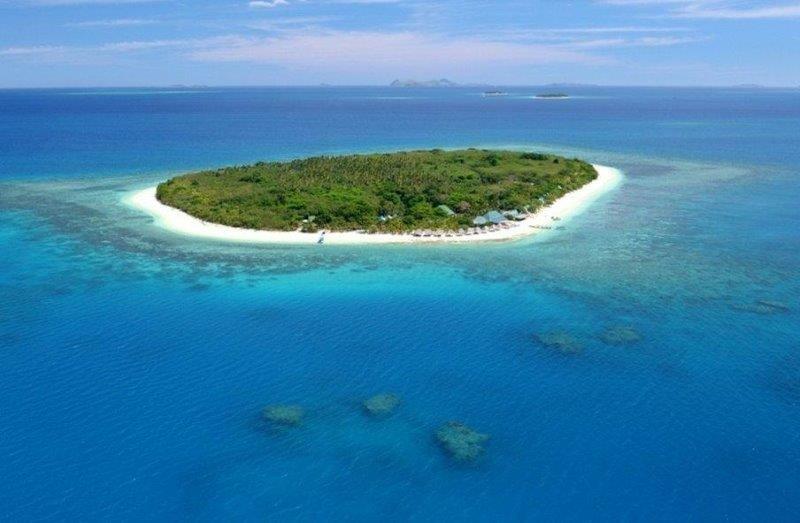 Welcome to Kokomo Private Island Fiji, where pristine reefs set the scene for an unrivalled experience. A world away from the world, this is a place where spectacular white sand beaches are yours for the taking, where privacy is paramount, service is superior and you are our priority. A retreat for families, haven for honeymooners, and paradise for lovers of authentic barefoot experiences. Kokomo Private Island is a place you’ll make memories that last a lifetime.